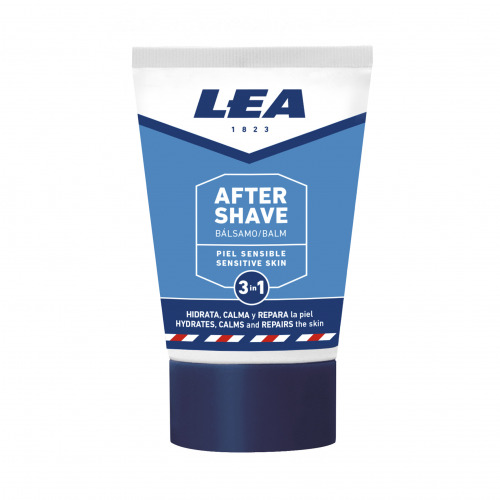 After Shave Balm 3 in 1 LEA 30 ml. Home > MAN>SHAVING>After shave>After Shave Balm 3 in 1 LEA 30 ml. Hydrates, Calms and repairs the skin after shaving. Non-oily, fast absorbing formula with soothing, moisturizing and restorative properties thanks to its active ingredients: Allantoin, Bisabolol, Vitiamin E, Aloe Vera and Glycerin. Provides a feeling of freshness and immediate relief and helps soothe skin irritations. After Shave Balm 3 in 1 LEA 75 ml. After Shave Lotion Stop-Irritation LEA 125 ml.